JEFFERSON PARK — The nearly 20,000 commuters who shuffle through the Jefferson Park Transit Center each day might soon have a new option for their morning caffeine fix. 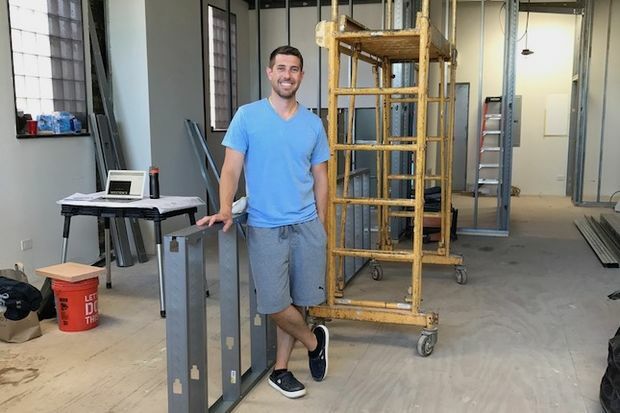 Entrepreneur Nick Davis is renovating a storefront at 4872 N. Milwaukee Ave. with a mission to open Weston's Coffee & Tap Co. by summer's end, filling a cafe desert in one of the busiest pockets of the Northwest Side. Davis envisions a "European-inspired" bistro with house-brewed coffee, made-to-order deli sandwiches and at least three beers on tap, he said. Directly across from the terminal, the cafe would seat up to 25 patrons. "In Europe usually you can get coffee, and maybe a couple good pastries and good sandwiches," Davis said. "But then in the afternoon it can be a more laid-back kind of atmosphere, where people are hanging around with beer." Weston's will serve Metropolis Coffee through offerings including espresso-based drinks and cold-brew coffee on tap, Davis said. Three other taps will pour a rotating stable of locally-brewed beers, including one tap dedicated to 3 Floyds Brewing Co., he said. The food menu will include at least a half-dozen "East Coast-inspired deli sandwiches" about 10 inches long, Davis said. He's also landed a partnership to sell sweets from nearby Delightful Pastries, 5927 W. Lawrence Ave., and he teased a "unique kind of doughnut" popular in his native Columbus, Ohio. As it stands, commuters can grab coffee from a smattering of fast-food chains near the transit center — but the nearest independently-owned cafe, Fannie's, is nearly a mile away at Montrose and Milwaukee avenues. "There's an opportunity to support Jefferson Park and the transit center in a way that's much-needed," Davis said. "We're looking forward to bringing in foot traffic, and hopefully bringing in folks from outside the neighborhood who may not otherwise come to Jefferson Park." 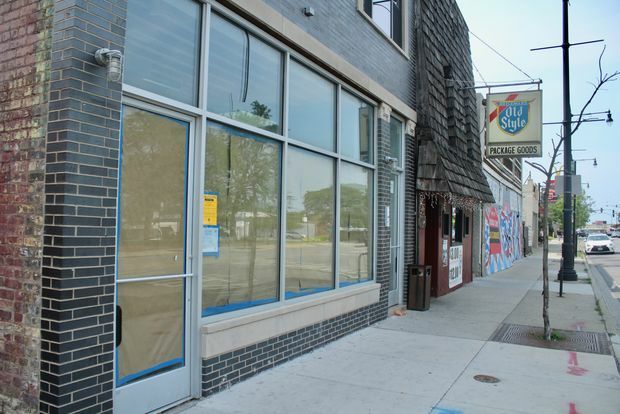 Neighborhood groups are abuzz over the new shop — Jefferson Park Forward president Ryan Richter wrote in an email that the business would be "great for our community," and Jefferson Park Neighborhood Association president Bob Bank added that residents are "all excited" for its opening. Meanwhile, city officials are working on ways to make it easier for pedestrians to access the cafe from the transit center and vice versa, according to Ald. John Arena (45th). A new crosswalk on Milwaukee will link the coffee shop to the terminal by fall, and officials plan to vacate the alley next to the storefront to create more room for pedestrians, Arena said. Weston's is "exactly what we'd love to see there. ... People have been saying that they want a good quality purveyor that's consistent in its hours," Arena said Friday. "And adding that formalized crossing will help channel pedestrians, and turn it into more of a public space."